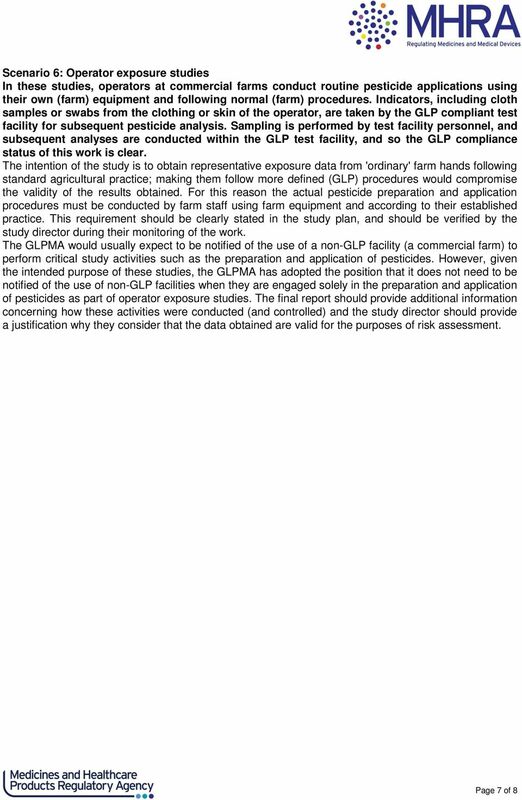 GOOD LABORATORY PRACTICE UK GLPMA POLICY ON THE USE OF NON-GLP FACILITIES FOR THE CONDUCT OF STUDY PHASES. 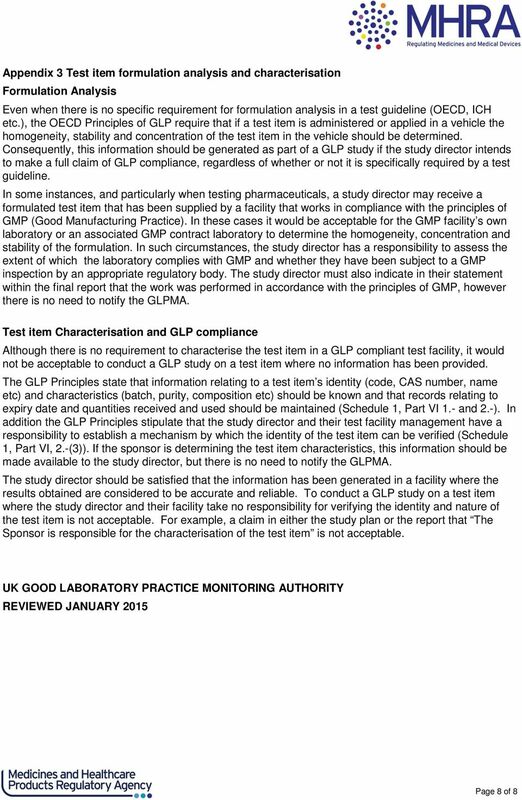 Download "GOOD LABORATORY PRACTICE UK GLPMA POLICY ON THE USE OF NON-GLP FACILITIES FOR THE CONDUCT OF STUDY PHASES." 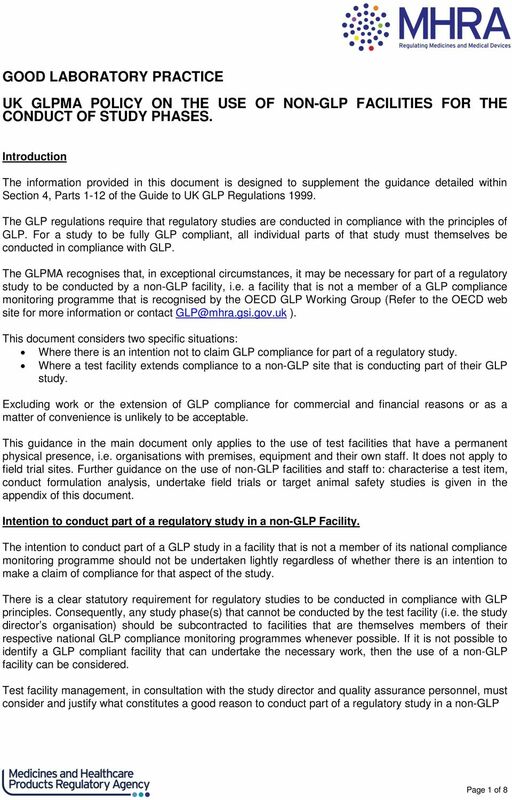 Qualified Persons in the Pharmaceutical Industry Code of Practice 2009, updated August 2015 *QP Code of Practice 2008 updated Aug15 Page 1 of 13 Code of Practice for Qualified Persons 1. INTRODUCTION 2. Food Law Enforcement Policy Table of Contents 1. Introduction 2. Official Controls 3. Inspections 4. Enforcement 5. 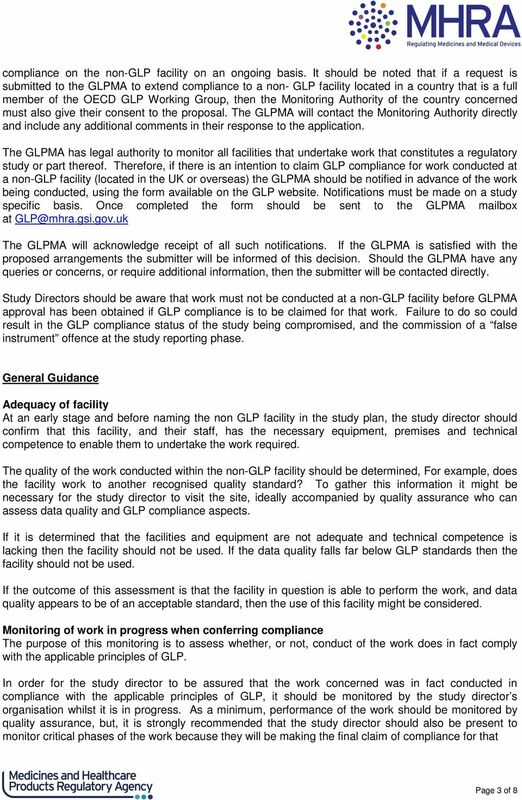 Hygiene Improvement Notices 6. Hygiene Emergency Prohibition Notices 7. Prosecution 9. 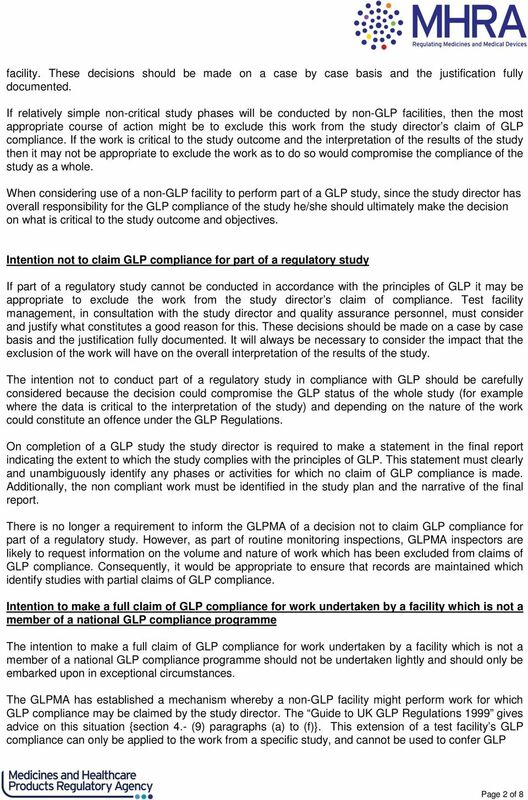 Reporting on Controls at a Service Organization 1529 AT Section 801 Reporting on Controls at a Service Organization (Supersedes the guidance for service auditors in Statement on Auditing Standards No. 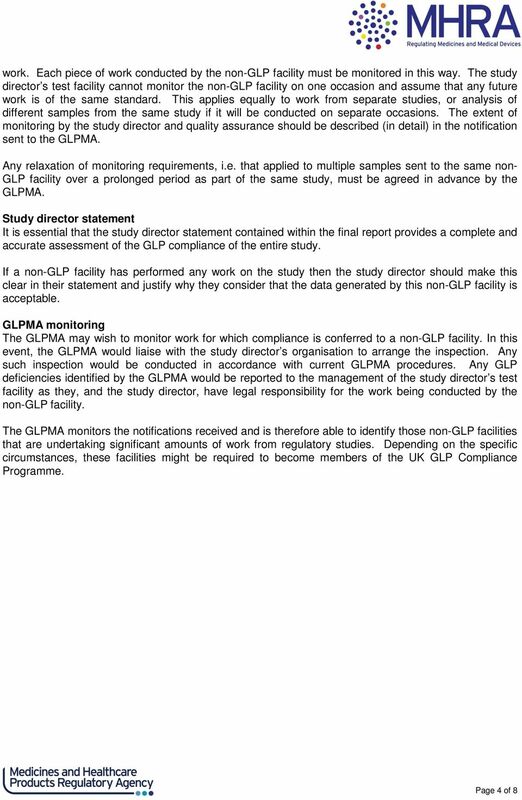 Conducting a Gap Analysis on your Change Control System. Presented By Miguel Montalvo, President, Expert Validation Consulting, Inc.
Site visit inspection report on compliance with HTA minimum standards. Belfast Cord Blood Bank. 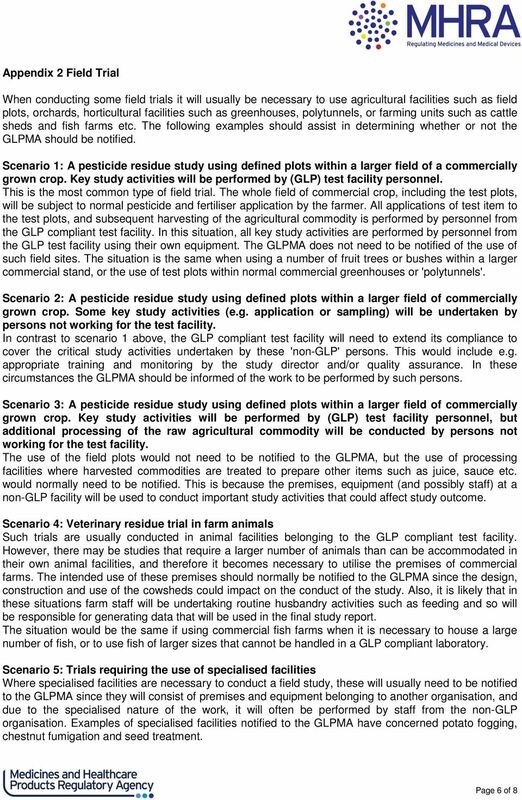 HTA licensing number 11077. 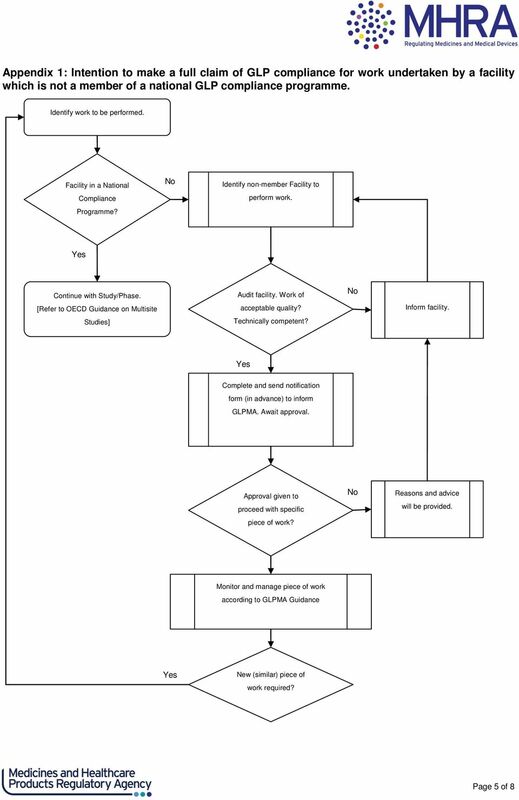 Drinking Water Quality Management Plan Review and Audit Guideline This publication has been compiled by Queensland Water Supply Regulator, Department of Energy and Water Supply. State of Queensland, 2013. FMC Technologies Measurement Solutions Inc.